Before you can successfully go live on Facebook you must first generate Facebook live stream key to authenticate the Facebook live software. However, there are three different software programs to go live on Facebook. Despite these three Facebook programs, you need to use the Facebook generator to generate a streaming key to activate the 2015 feature. Before we go ahead to generate the live stream key, here is a process to go live on Facebook on Android and on iOS. Here is how to generate your Facebook live streaming key to go live on Facebook on both Facebook Android and the Facebook desktop version. 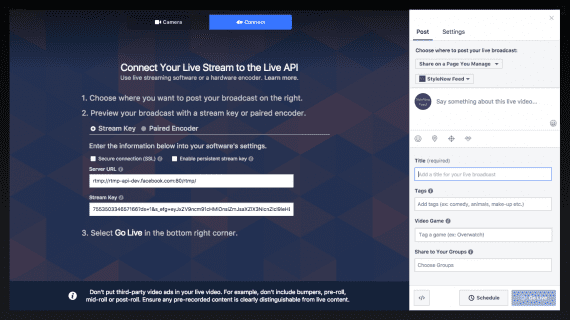 However, it only requires three [ Setup–>>Connect–>>Broadcast ] steps to create and generate Facebook live stream key. 3. Select “Enable persistent stream key” from the stream key generator above. Note that, when you failed to enable this option you will not be able to generate the stream key after the end of the live stream. 4. Launch your streaming software [To be discussed below] and copy and paste the server “URL” or the Enable persistent stream key into the settings and start the live stream from your system encoder and you will see a live preview. 5. Enter a catchy title, description, and video game tag and click on the “Go Live” or “Schedule” to go live later. Facebook recommended some software programs that work with the Facebook live stream. The recommended software makes it easy for the generated Facebook live stream key to work and go live with ease on Facebook. However, below are some recommended Facebook live streaming app you can download to your computer. OBS is a free and open source, streaming and recording software for Windows and Mac OS devices to go live on the internet. The OBS works with Stream to Twitch, YouTube, Facebook, and other popular live streaming company stream live and record on computers. So, if you want to go live on Facebook using a software program of your choice you should also consider the popular, free, and open source open broadcaster software for computers. For more information and how to set up open broadcaster software to work with the Facebook live feature, just check it out here. Wirecast software is another popular program software that works with the Facebook live feature to go live easily on Facebook if you don’t want to use OBS software. The Wirecast software offers a flexible and user-friendly interface to copy and paste stream live key to connect a live streaming system and the platform, such as Facebook to easily connect your encoder. XSplit is another software program to go live and record content to easily share it online on a top-notch platform. With XSplit, you can stream Facebook live video, YouTube, Twitch, Facebook, Mixer, and many other platforms. Each software program offers different setup process but with the same output. However, the process to connect your chosen live software program differs. So, you have to take a look at some manual or review to connect with your live programs to your online video sharing website for free. 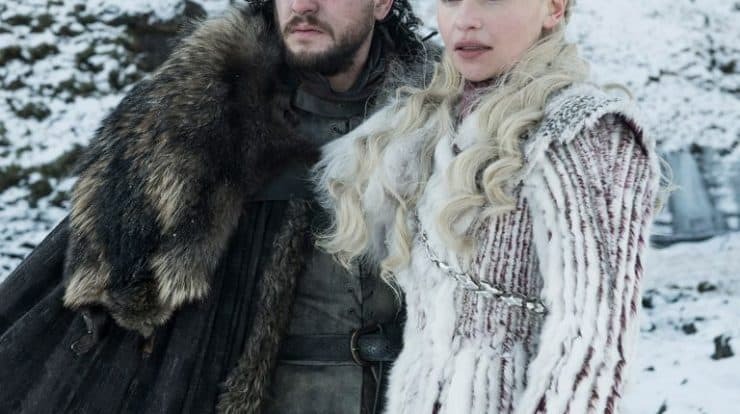 However, some of this programs are free to use while some are paid service to connect to the live stream service. Once you have successfully generated the Facebook live stream key, then download and install any of the popular software programs.